As the days get even the slightest bit shorter and cooler, we beauty junkies get the itch to switch things up just a little bit. Lucky for us, there are a few fall runway trends that will look so right and fresh even in the August sun. Bronzers are practically the essence of summer makeup but blush can add a youthful, pretty flush to the face that looks super flattering and natural on sun-kissed skin. Michael Kors showed a soft, peachy-pink flush, while Tibi showed barely a flutter of colour on the cheeks. Ditto for Jason Wu’s softly blushed models, and contrastingly, Donna Karan showed a classic pinky cheek, which looked super sophisticated with a rust-toned lipstick. Even the forever-chiseled cheeks at Balmain were softened this fall season with a pop of pink, which will look perfect for those last few steamy nights of August. Summer hair demands ease, while fall styles are all about polish. Combine the two and slip something sparkly into your strands, like many designers showed us for the fall season. Dolce & Gabbana showed a multitude of options from delicate gold, pearl and diamond hair pins to ornate headbands and crowns. 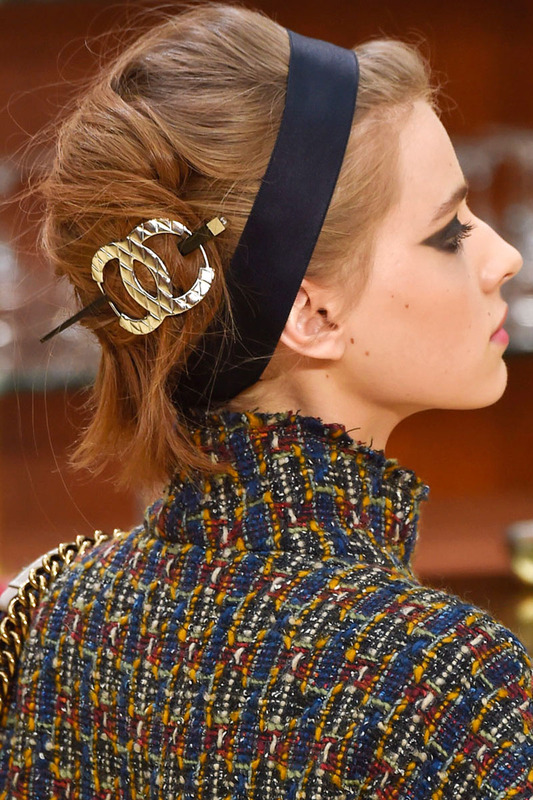 A simple, thick black ribbon at Chanel looked supremely chic and will easily translate, while Rochas showed a modern, sleek barrette across the mid-lengths of hair. Easier to pull off when your complexion has a bit of colour, the contrast is less harsh when swiping on a dark, vampy lip shade in the summertime. 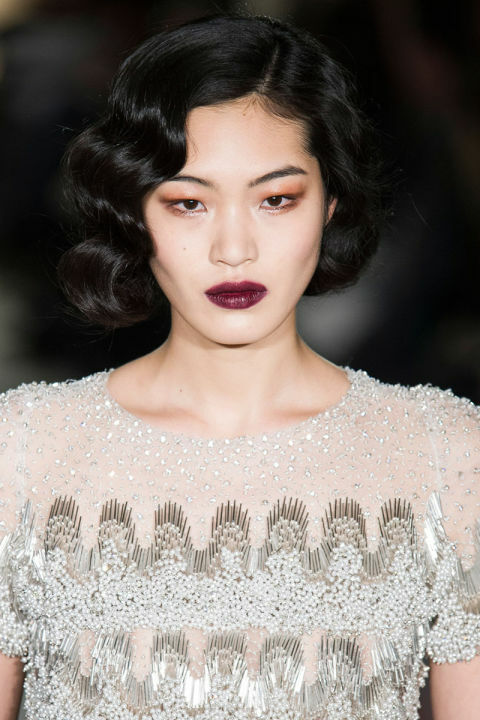 Also unexpected and modern, especially after all the popsicle-pouts of the season, freshen up your look with sheer, translucent skin and a dark, bold lip like Marchesa, Marc Jacobs, Giles and Emanuel Ungaro all showed for the fall season. Blowouts, be gone! Don’t waste your last few precious weeks of summer stuck under the heat of a blowdryer. 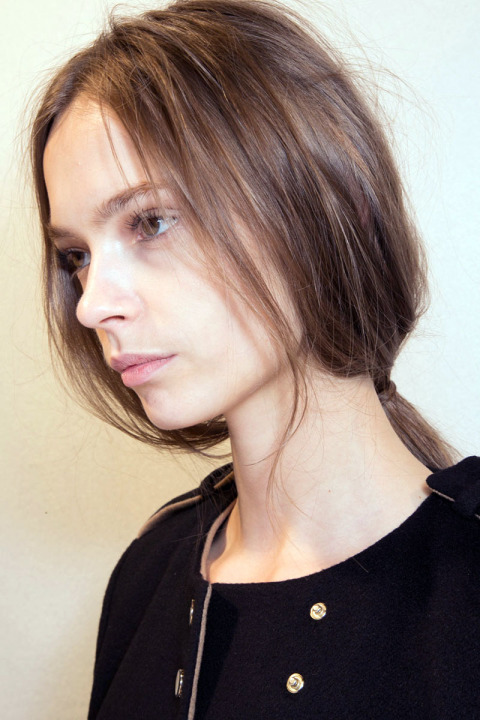 Make waves with tousled undone texture that looks so right on the fall runways and right now. Raked back and twisted into a low, simple bun at Diane von Furstenburg, the style is a staple and looks fresh with a few strays let loose out of the bun. Polished, sleek and slightly below the crown at Balenciaga, hair was wrapped wide and pinned in place. A punky, twisted updo made models look edgy at Missoni, while Stella McCartney embraced a fresh, no-fuss damp ponytail.